This morning began like any other. I guzzled some coffee, did my mom thing, got a quick workout in, did laundry. At some point when the dust had settled, I sat down for a dose of social media while the Today Show played in the background. There was a post (which I will not link here because there is a curse word in it) from a friend of mine that in essence said a “real woman” is whatever she wants to be rather than curvy or skinny or muscular etc. Meanwhile, the Today Show can’t stop talking about People Magazine’s selection of Lupita Nyong’o as Most Beautiful person of the year. Lupita Nyong’o – She is beautiful isn’t she? 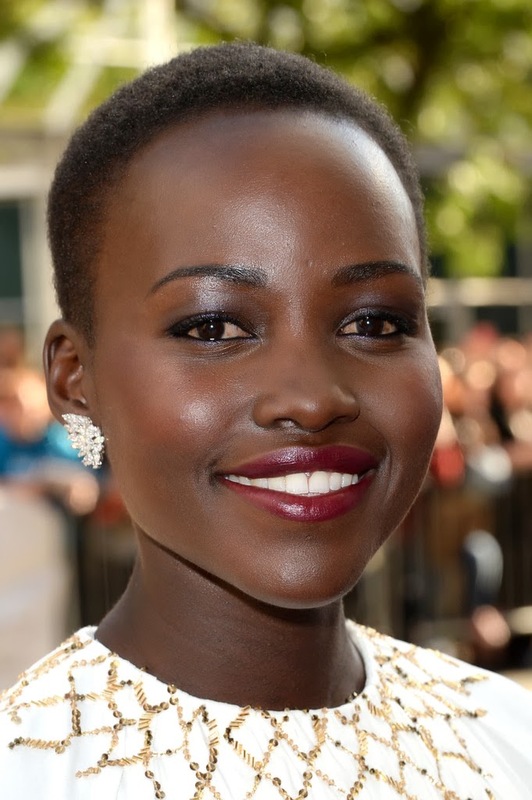 The Today Show host said that Lupita had said in an interview that growing up, she didn’t feel beautiful at all. And it hit me afresh how many women feel this way. How sad that we’ve allowed outside opinion and influence to dictate our identity. I too am guilty of propagating the lie. Just this morning, I caught myself thinking, as I looked a friend’s photo, “She is such a pretty girl, but she wears WAY too much makeup!” I know I’ve said the opposite as well, “She would be so pretty if she wore a little makeup.” Or “lost weight” or “gained weight” or “dressed better” or…you get the idea. I’ve propagated the lie inward as well. “I need to lose those last few baby pounds.” “I need shoes like that” “I need a new hairstyle.”…you get the idea. Don’t misunderstand, there is nothing wrong with doing things that make you feel confident like getting a new haircut or wearing those outfits that make you feel like you can conquer earth with your awesomeness. I think those things are important and healthy. The problem starts when we believe the lie that we are defined from the outside. The truth is that a real woman is not defined by her appearance. A real woman is not defined by weight, style, physical attributes, clothing, shoes, hair, makeup. A real woman is defined by who she is, who she was made to be and the God who created her with purpose and destiny. Maybe if we all realized that we are beautiful just because we were created to carry the beauty of the divine and share that beauty with the world, we would start living a little differently. Think about it, what is more beautiful than a woman stopping to wipe tears from little eyes and help a smile reappear? What is more beautiful than reaching a hand to someone no one else sees and showing them they have value? What is more beautiful than the one who brings food to the hungry, water to the thirsty? When someone stops the chaos for a moment of conversation and tenderness? When we will stop being distracted by the trivial and start living the eternal? Love is forever. When we carry the divine, we are beautiful. I am beautiful because He is beauty and He lives in me. My Dear Jaimie, let me share with You how I see Women! I do not see them as ‘real’ or as beautiful, but as Women. And to me, and as it should be for ALL men, Women are the Most Beautiful Creatures in Creation! Yet, as You say, Care and Concern, Approachability and Love are what make Real Women. I absolutely love this message! I couldn’t agree more, beauty is from within. Doing beautiful acts, showing someone their beauty or giving beautiful energy, only helps your beauty radiate from the inside to the outside. I need to read this and Reread this again and again and again! I am beautiful because God is beauty and lives in me. That says it all. Thanks. This is such a great message; one that more women need to hear! I was truly encouraged and blessed by this, thanks!